I’m hoping you might be interested in our “Trump-Putin” and “Illegitimate” shirts and hats. 100% of the proceeds go to AMERICAblog’s Fight Trump project; and we have great margins on these products, so a large portion of your purchase goes directly to support our independent journalism. And the more you buy, the better our margins! Our top-selling design, available in a t-shirt only, is the dictionary definition of the word “Illegitimate.” But with a twist. The first definition is “not valid or defensible.” The second definition is a silhouette of Donald Trump’s face. As you know, Hillary Clinton received nearly 3 million more votes than Donald Trump. Which means Trump has no mandate. And now that we know the Russians helped get Trump elected, he is not a legitimate president either. Thus the message of this t-shirt. This design plays off of the ongoing controversy over Trump’s mysterious ties to the Russians and his inexplicable support for Russian foreign policy, such as the dissolution of NATO and the annexation of Ukrainian Crimea. We have Trump-Putin t-shirts and hats in a variety of colors. The design is a direct parody of the Trump-Pence logo. Here are our Trump-Putin shirt colors: white, navy, red, grey and black. 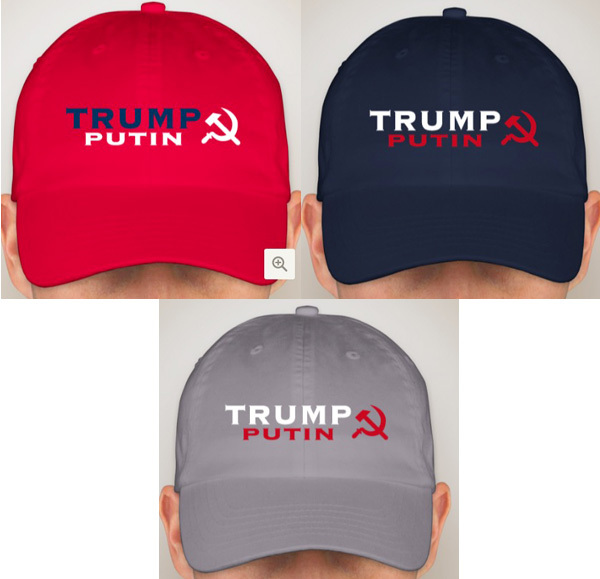 And here are our Trump-Putin hat styles: red, navy and grey. Our third and final design for this campaign, created as a result of popular demand, is a “Putin-Trump” t-shirt. Several people felt that they’d prefer to have Putin on top, so this t-shirt does just that. Putin-Trump shirts come in white, black, red, grey and navy. Thanks as always. Your support is critical for our ongoing work fighting the Trump agenda. And don’t forget to sign up for our email newsletter and action list. You can sign up for it here. The more subscribers, the more powerful we are. these are really big sellers! 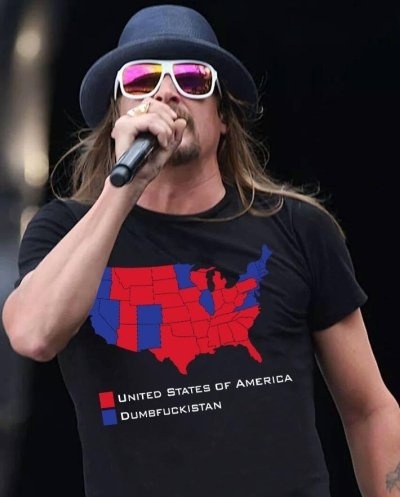 Love the shirt,, but I am a bit of a redneck,, it needs a pocket. It’s starting to feel like it should be “Trump / Bannon” or “Bannon / Pence”!